I am ALL about fairy tale retellings so when I heard about A WICKED THING — which is a retelling of Sleepy Beauty — I was ALL for it! Thanks to HarperTeen, I received a copy in the mail and immediately made plans to start ASAP! It started off really well and I was immediately intrigued. I really enjoy the fact that the plot started with Aurora’s awakening after 100 years — not just a short while — and she wakes up to a world that’s totally unfamiliar to her, all of her family and friends long gone. But… that’s about where the good things stopped for me. I’m gonna be honest. This book did not sit well with me. It wasn’t particularly bad, but after the first few chapters, NOTHING was grabbing or holding my attention. I loved the potential for Aurora but I felt like she never really made it past the idea of a strong heroine. She was constantly overwhelmed with how alone she was in this new world, which yes, that’s totally understandable — I would be too — but it didn’t feel like any smooth transition from scared and alone to take-charge and bold. She flip-flopped back and forth between the two and once she finally turned into this take-charge girl, I just didn’t really believe it. It really just felt like too little too late and everything sort of felt very basic and undeveloped for me. And that actually goes for the other characters too. Everyone felt very one-dimensional. The queen was supposed to be a baddie, but she just felt very static. Everything she did was horrible and rude and mean and she really didn’t have any redeeming qualities. Not all villains or antagonists have to (*cough*Dolores Umbridge*cough*) but I think I would have liked her character so much more if she had shown a little bit of humanity every now and then or tried harder to be trustworthy. Her blatant selfishness and the fact that Aurora gave in so easily frustrated me quite a bit. The men in the book were no better. The king didn’t have much development either — which I was okay with, really. He was a big part of the overall plot but that doesn’t mean he has to be a main character — but it was all of the possible love interests that I really couldn’t get on board with that frustrated me most of all. There are three — THREE — gentlemen who are more or less vying for Aurora’s affections. One is the prince who woke her, one is a mysterious boy from town, and one is another prince who is “not to be trusted” (who I actually liked the best because he was deliciously snarky and clever)… and Aurora is kind of involved with all of them. Not all of those relationships are romantic but she’s sort of pulled in all directions and it was just too much for me. I never got to spend time with the ACTUAL love interest (Tristan) — the boy the reader is supposed to like — because there were just so many things going on. I felt no pull to him. I also wanted to feel more sympathetic to Rodric (that’s the prince who woke her) because it was clear that they didn’t really belong together, but they were trying to make things work because he was the one who broke the enchantment and by right should marry Aurora. Finnegan (the scoundrel prince) was my favorite but unfortunately he was the least important. it sounds like he’ll play a bigger part in the next book but I won’t be picking it up. The story was lackluster. It took a very long time for things to happen and when they did, it didn’t feel like much. BIG events sort of came out of nowhere instead of a constant ebb and flow of character-driven portions to action to world building. I didn’t really feel much of anything was developed. What exactly was “a wicked thing”? (Yes, it was mentioned but it didn’t feel too wicked.) I felt like I didn’t get to know the characters. 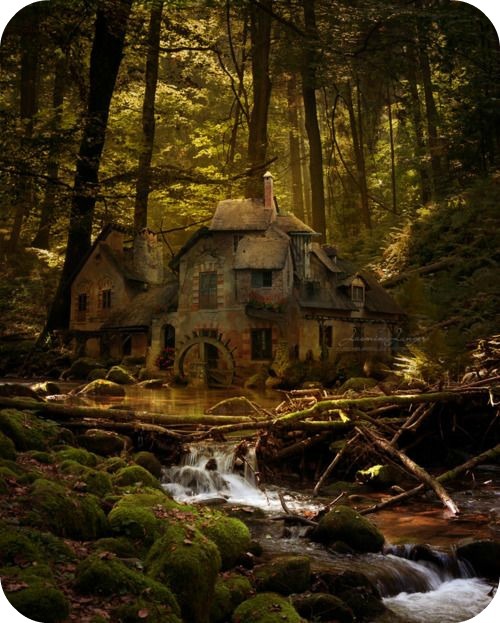 I felt like the world was essentially any old fairy tale. I felt like the plot didn’t really grow or move or do much of anything. And the ending didn’t even feel like a cliffhanger or a temporary resolution (since it’s a series) — it just kind of ENDED. Sadly, after all of my original excitement, A WICKED THING was just not the book for me. I really appreciate HarperTeen sending me a copy of this book to review and I wish I could have fallen in love with it but it was quite the struggle to finish because it really just kept dragging for me. It sounds like things may pick up in the second book, but I won’t be picking it up to find out what goes down. Aurora // Character Obsessions: Freedom, family, magic, romance, adventure.. You may have noticed that in my updates above, I noted that it was making me crave an Aladdin retelling even though I was reading about Sleeping Beauty. Well, when Aurora goes on her little escapades, it just REALLY had an Aladdin feel to me and how Aladdin and Jasmine met, which also kind of made her feel like a poor man’s Jasmine, I think. I wanted her to be so much more feisty and read to take charge and she just didn’t feel like a strong character at all. Kept Me Hooked On: Sleeping Beauty. It’s actually not one of my favorite fairy tales (or Disney movies) but it’s been getting a lot of attention with Maleficent coming out last year and I’ve been a bit more interested in it as of late. I wish this book had done more for me regarding a retelling but I’m hoping more retellings come out at some point in time! Left Me Wanting More: Development. Everything really felt so underdeveloped in this book. The characters, the plot, the action, the setting, the magic system… I just felt so underwhelmed by everything and it made it really hard for me to get into this book. Even if one thing had felt a bit deeper, I think I would have enjoyed it that much more and maybe even overlooked or not noticed the other things. I was SO SURE I would love this one but it really just didn’t do anything for me. The characters fell flat, the pacing seemed off, and I wished there had been so much more to the plot. Sadly, I can’t recommend this one. This entry was posted in Books, Fantasy, Retelling, Review, YA and tagged A Wicked Thing, Books, Fairy Tale, Fantasy, Retelling, Review, Rhiannon Thomas, Sleeping Beauty, YA, Young Adult on February 20, 2015 by Brittany. 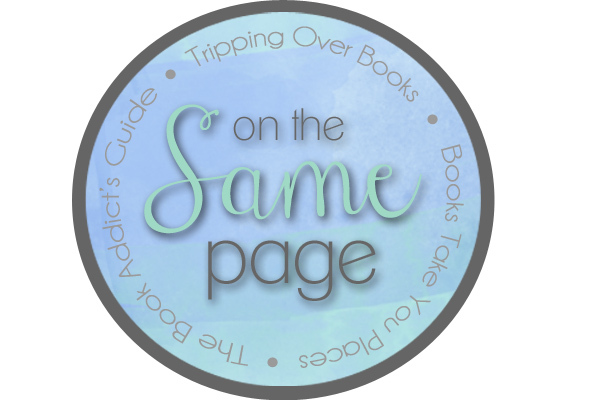 For December, On the Same Page read Alyssa’s favorite, Snow White and Rose Red by Patricia C. Wrede. I had a lot of fun reading this one which I actually didn’t expect when I first started (was hesitant about the fairy tale (sometimes they just don’t work for me) and the Elizabethan language) but I actually easily slipped into the book. Patricia C. Wrede’s adaptation of this fairy tale was so much fun. The characters were absolutely fantastic and one of my favorite parts but the other was her imagery. I really felt like I could picture the story as I was reading it and it was very visually striking! So today for our On the Same Page post, I’m sharing a few of my favorite images with you that I would include on my SNOW WHITE, ROSE RED Pinterest board! ! 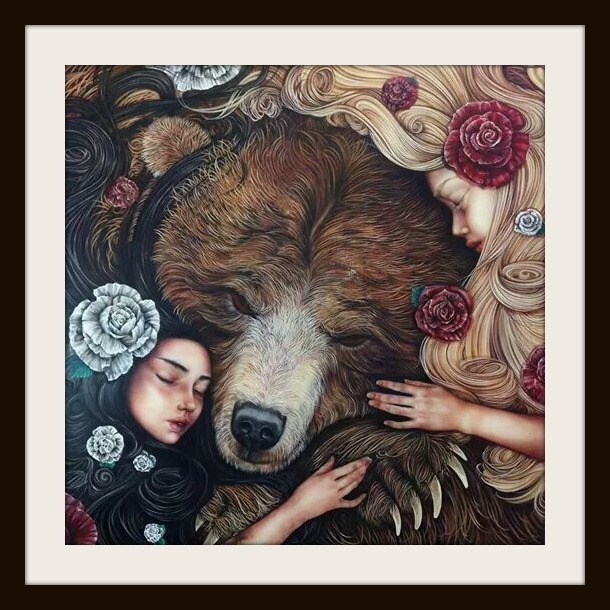 I just love this gorgeous artwork of Snow White, Rose Red, and the bear! These pictures are absolutely stunning and I LOVE the first picture because that’s almost exactly how I pictured their cottage too! 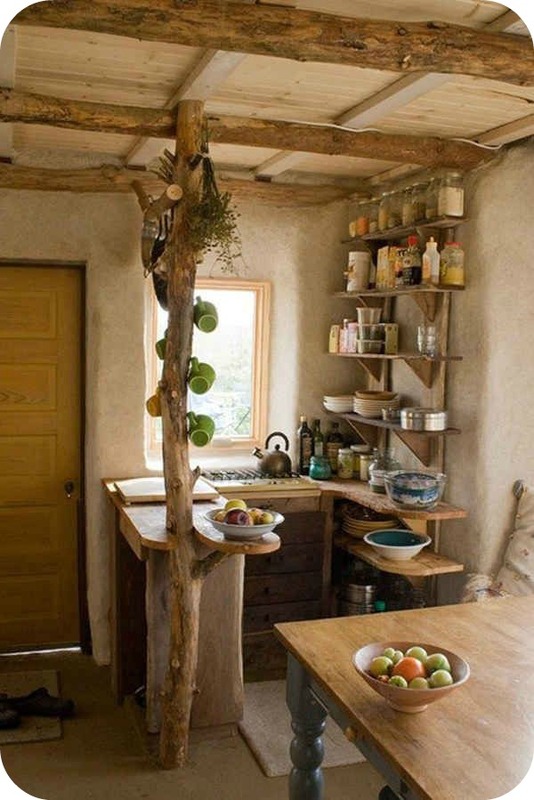 I just LOVED the feel of the cottage. I mean, it wasn’t like that was even a focus but I could just really picture it in my head! Smash all three of these pictures together and that’s about what I could see in my mind! 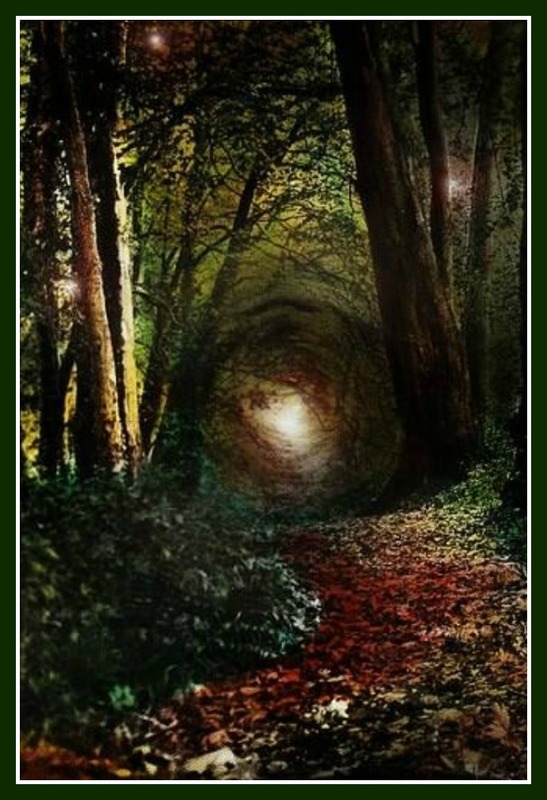 I also loved picturing the woods and the transition into Fairie! I’m not exactly sure what Fairie would look like but I’m guessing a bit more ethereal, maybe more stunning, maybe more distracting, maybe all of the above! 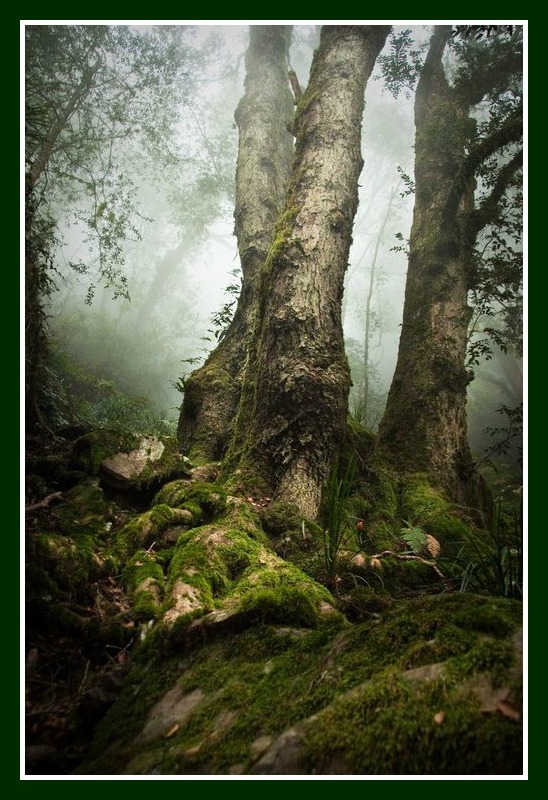 These were some gorgeous forest pictures that made me feel like I was about to cross the border into Faerie! So I was just searching images and Pinterest trying to find something that would relate to Edward Kelly and John Dee and… they are ACTUAL people! I didn’t know that! (Am I bad history student or is this not common knowledge? I thought it was neat!) 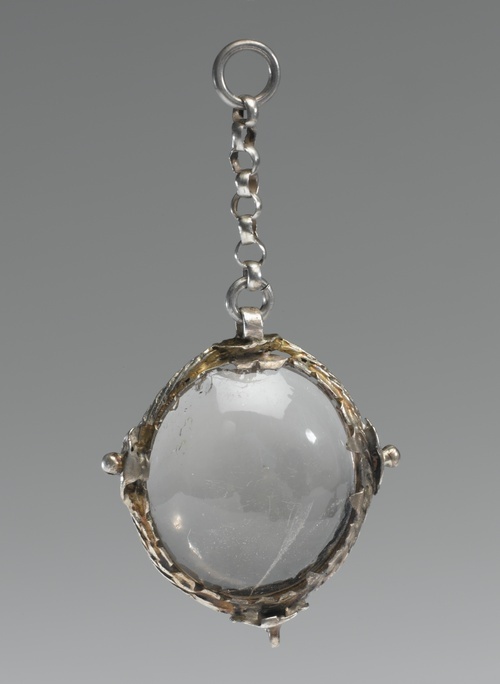 John Dee was an actual advisor to Queen Elizabeth I in the late 1500s/early 1600s. He was a mathematician, astrologer, and philosopher. 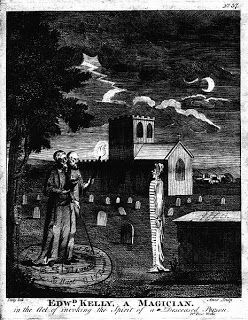 He took Edward Kelly under his wing in 1582 and the two began to delve into “supernatural pursuits”. They came up with the Enochian language which was said to have been given to them by the angels. Hope you had fun checking out Snow White and Rose Red today! Don’t forget to check out Alyssa’s and Amy’s posts about Snow White and Rose Red today too! 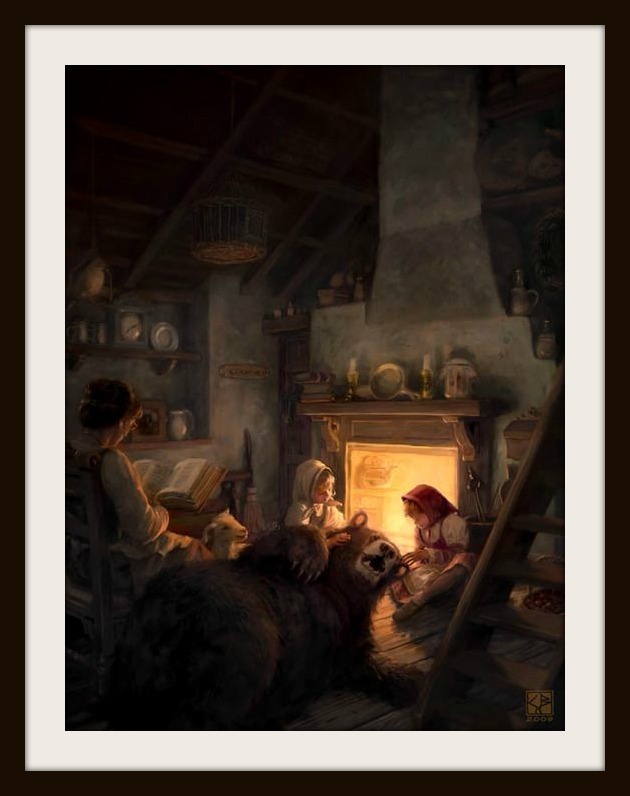 This entry was posted in Books, Discussion, Fantasy, YA and tagged Books, Children's Books, Fairy Tale, Patricia C. Wrede, Retelling, Snow White, Snow White and Rose Red, YA, Young Adult on January 8, 2015 by Brittany. STARDUST is my second full-length novel by Neil Gaiman and pretty much as soon as I finished listening to THE GRAVEYARD BOOK, I knew I had to pick up another audiobook written and narrated by Neil Gaiman as soon as I could. I had actually never seen the movie OR read the book before so I was really anxious to see how I would like this one! I had one major qualm about STARDUST before I started and that was that it dealt with fairies. I’m almost never a really big fan of fairy stories and books about fae so I was a bit nervous that STARDUST wouldn’t be enjoyable for me, but really anything that Neil Gaiman narrates can’t go that wrong, right? The book did surround a major fairy plot in that the main character Tristran is half-fairy himself and he goes on a quest to find a fallen star that landed in the realm of Fairy to bring to his heart’s desire. Did I hate the fairy-plot? No. Did I love it? Not really. Statistically speaking, I’m still not a fan of fairy books but that doesn’t mean I didn’t enjoy it! I really appreciated this new fairy tale for the modern age from Neil Gaiman (compared to The Princess Bride. I DIED.) and how it really relates to both children and adults alike! Of course I loved the banter back and forth between Tristran and Yvaine. (And of course I had to look up how to spell their names because I don’t get to see these things in audiobooks!) I just love bantering relationships and hate-to-love relationships. Obviously the two don’t get along at first. Tristan’s sole purpose of this voyage is to capture the Star and bring her back to Wall. Yvaine is a strong personality and what woman wants to be captured in any way? I really liked their back-and-forth and how throughout the journey, both of them really came to appreciate each other. Really throughout the whole book, I wasn’t exactly sure how the two separate story lines would come together. Once they finally did, I realized I really should have seen it coming but for some reason I couldn’t fit those pieces together until the reveal. I thought it was a very nice ending to the book and I really enjoyed the way everything wrapped up! For some reason this was a really hard review for me to write… I think because I was just lost in Neil Gaiman’s narration and the world that he created for this new fairy tale. THE GRAVEYARD BOOK is still my favorite Gaiman to date (not like I’ve read that many yet haha) but STARDUST was definitely enjoyable and light but with dark plot points as well. Tristran // Character Obsessions: Victoria, finding the fallen star. Tristran was an interesting character. He’s a teenager and yet there was such an air of innocence that surrounded him. He felt naïve, either a fool in love or a boy who needed to mature. In a way, I guess he was both and he certainly did mature on his quest. Yvaine // Character Obsessions: Hating Tristran, healing her leg. Naturally, I loved Yvaine. I love girls with strong personalities and I really enjoy that love-to-hate relationship. I was actually rooting for her more than Tristan half the time! She was totally my kind of lady. Kept Me Hooked On: Fairies. Statistically speaking, I don’t like books involving fairies. They’re just not my thing. But I really appreciated that this was a sort of traditional fairy tale so the concept really didn’t both me. I think that’s sort of a new revelation! I don’t hate all fairy plots but I guess it depends on how they’re involved in the book. Left Me Wanting More: Reality. I mean, it is a fairy tale. And the weird thing is that the settings are split up between Fairy and the “human” town of Wall. But even still, I think I wanted things more grounded in reality and that’s why I don’t do well with fairy plots. Sometimes things just seem like they get a bit too carried away and sometimes it’s just not my style. STARDUST was good! I was never bored but it never exactly blew me away either. It’s a Gaiman classic and really enjoyable, especially listening to his narration! This entry was posted in Books, Fantasy, Review, YA and tagged Audiobook, Books, Fairy Tale, Fantasy, Neil Gaiman, Review, Stardust, YA, Young Adult on February 17, 2014 by Brittany. Firstly, thank you to Danielle Shipley for providing me with a copy of THE SWAN PRINCE to review! If you guys don’t know Danielle, you should totally say hello on Twitter because she’s pretty awesome and just a lovely person! Okay, now down to the review. 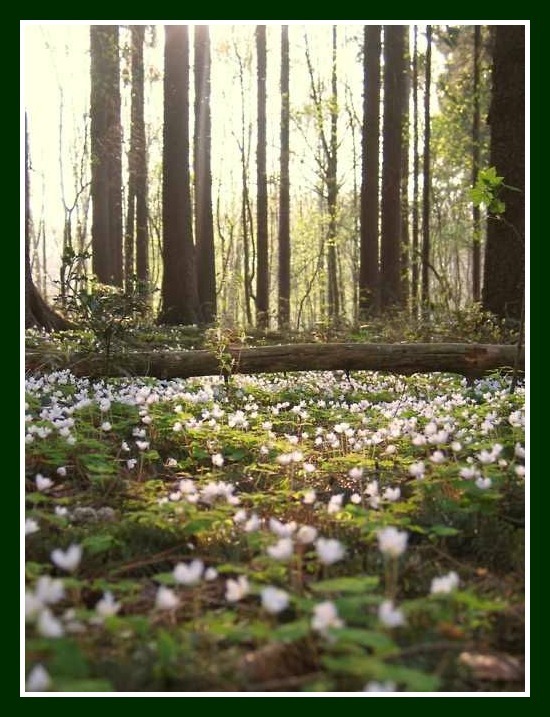 THE SWAN PRINCE is a young adult fantasy/fairy tale novella that starts off with the young doctor Villem Deere and the mystery of a teenaged Sula who is found in the woods with her leg stuck in a bear trap. Deere feels she’s a nice enough girl, but he knows something is amiss since her skinny leg wasn’t immediately destroyed by the trap. We then get into the story of Sula, Sigmund, and Villem and how their stories intertwine and mesh with one another. I’ve got to say… I love fairy tales, fairy tale retellings, and new invented fairy tales so THE SWAN PRINCE was right up my alley. THE SWAN PRINCE has all of your typical fairy tale “must-haves”: princes, princesses, witches, spells, mysteries, and romance. Danielle Shipley did a fantastic job of creating a fairy tale world and the characters in it. At first, I had a hard time with Sula because she was such a stubborn girl, but I realized that’s how she’s supposed to be and she needs to find a way to make a transformation… In more ways than one. I loved the insight and detective work from Villem Deere as well as sympathy and patience. And I loved the interactions between Sigmund and Sula (which I don’t want to say too much about because I don’t want to give any big plot points away)! Danielle’s writing is beautiful — it has the sense of age with it, like this fairy tale has already been told thousands and thousands of times already and is already near and dear to so many people’s hearts. Each plot point, each twist, each word is carefully thought out and strategically placed and yet everything just flows together so lovely, lyrically, and naturally. I honestly felt like I was reading an old fairy tale that’s been in existence for years and years already. It was quite a pleasure to read! I also really enjoyed that The Wilderhark Tales are a collection of novellas. I could have easily read Danielle’s work for many, many more pages, but the story neatly sums up in the proper amount of pages and Danielle doesn’t push to make the story longer just to make it a “proper” full-length novel. THE SWAN PRINCE is something you could easily read in one sitting and spend the rest of the day dreaming about. Kept Me Hooked On: Original fairy tales. I do love a good fairy tale retelling, but I love how Danielle Shipley invents her own. It’s not just a fantasy story and truly embodies everything that a good fairy tale should be. Left Me Wanting More: Pages! Haha, no, but really. I will gobble up anything Danielle Shipley writes, but I’m actually glad that the book wasn’t stretched out to its limits by trying to add more words. The length is perfect and I will just have to get my fairy tale fix by reading the next book in The Wilderhark Tales, THE STONE KINGDOM! If you’re a fan of fantasy, fairy tales, or fairy tale retellings, this is the perfect novella for you! You will easily gobble it up and the soft, lyrical writing will leave you yearning for more! This entry was posted in Books, Fantasy, Review, YA and tagged Books, Danielle Shipley, Fairy Tale, Fairy Tales, Fantasy, Review, The Swan Prince, The Wilderhark Tales, YA, Young Adult on August 28, 2013 by Brittany. If we’re just being honest…. One of the reasons I wanted to pick Cinderella as my fairy tale for PFT was because of all of the great movie versions. I LOVE the Cinderella movies. I’m not even going to go into the original Disney one because we all know it and you don’t need any explanation from me. We’re counting down my favorite Cinderella remakes – movie style!! So there you have it! My favorite Cinderella movies!!! I really think the movies helped encourage my love for this fairy tale….. And apparently the selections for the prince. They’re all a bit cute, no? This entry was posted in Blog Event, Books, Fantasy and tagged A Cinderella Story, Cinderella, Ella Enchanted, Faerie Tale Theatre, Fairy Tale, Movies, Project Fairy Tale on February 22, 2013 by Brittany. I decided to keep this one short. I borrowed the ebook from the library and just tried several times to get into it, but I was just not enjoying the story. I know how many Cinderella retellings there are out there and with that in mind, I decided not to finish. I think I made it about a quarter of the way through before decided that this book just wasn’t for me. HOW WAS IT AS A RETELLING? Really? It was kind of depressing. When we first meet Lil, she’s working in an old book shop and it just seems like she’s trapped there. She enjoys her time in the bookshop, but she’s just not supposed to be… Well, in the normal human world. Lil is a fairy. She was never supposed to age but her time on Earth took that magic away from her and now she has to hide her wings, tightly bound to her body to prevent any regular old humans from seeing them. Truthfully, I didn’t make it very far. The whole beginning was just SAD. Lil is trapped. She has no friends or family (although she tells people she does). She can barely afford rent and food. And she’s all alone, working for meager pay in the bookshop because it’s the only thing she remotely enjoys. I actually decided to stop shortly after Lil met Veronica, so I don’t know much about her side of the story… We had a flash back to Lil’s time in her little fairy land and also a flashback to the real Cinderella story, but I was just bored with both of these. The fairies were annoying to me – very vain, frivolous. Just not my thing. And the flashback to Cinderella just felt like I was rereading the tale instead of anything being new and different. I was just struggling to get through the book, so I finally decided to stop reading. I was looking for something a little different, so I picked up LIES, KNIVES, AND GIRLS IN RED DRESSES, which is really just a collection of short stories (not even – each only ranging a few pages) of re-told or “true” versions of fairy tales. I wanted to see what the Cinderella one was all about…. Once upon a time, a strung-out match girl sold CDs to stoners. Twelve impetuous sisters escaped Daddy’s clutches to jiggle and cavort and wear out their shoes. Bluebeard’s latest wife discovered she’d married a serial killer. And Little Red Riding Hood confessed that she kind of wanted to know what it’s like to be swallowed whole. Ummm. It was frightening. A little disturbing? I mean, I’ve heard some gruesome fairy tales in my day, but after reading it, I was really hoping they hadn’t shelved this in the children’s section at my library (because I think they did). I guess I don’t know how to take it because this is not the stuff of a child’s fairy tale. 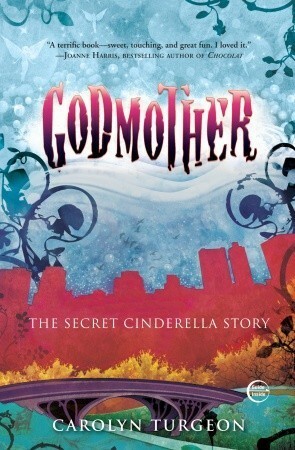 The Cinderella version in this book was from the two step-sisters (Sarah and Kathy), who are still bitter after their step-sister Ella is happily married…. BUT this short excerpt is riddled with sexual connotations that I totally was not expecting. "Even in tatters Ella was desirable - a little thigh showing here, some soot at her cleavage. And what a tease - dashing away at midnight leaving the heir to the throne groaning in his purple tights." So yeah. Was not expecting that one! Thankfully it was only two pages per excerpt because it that was a full book, that would be difficult to get through. Anyway, the story goes on and the rest is quite off-putting as well, but to tell that would be simply retelling the whole story. It was just a bit more than I was expecting, so if you’re looking for super dark and creepy, this is your book! If not, I’d definitely say this one is not for you! This entry was posted in Blog Event, Books, Fantasy and tagged and Girls In Red Dresses, Cinderella, Fairy Tale, Godmother, Knives, Lies, Project Fairy Tale, YA, Young Adult on February 21, 2013 by Brittany. How can you possibly deny that CINDER may be one of the best retellings out there? Yeah, I went there. OF THEM ALL. 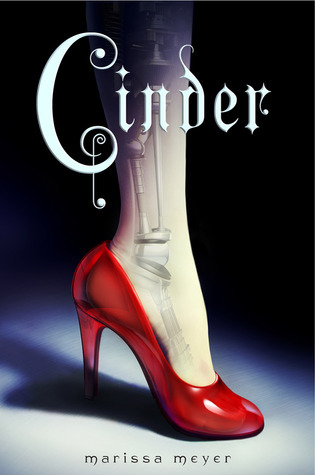 All right, maybe I’m getting a little carried away, but CINDER is certainly the best Cinderella retelling I’ve read. It’s fresh, exciting, romantic, creative, and a ton of other adjectives I won’t bog you down with. Umm, phenomenal! I loved every bit of Cinder, from how original it was to how well the original Cinderella characters and themes were woven into the story. You know what surprised me the most? How much I loved the sci-fi aspects of it. I never in a million years though that I would be on board with a cyborg Cinderella, androids, robots – you name it – but Marissa Meyer does it so well that it doesn’t really feel super sci-fi. I KNOW I caught Star Wars references in there and that really added an extra layer to the story – I feel like the people who get the references get an extra little laugh in there, which was definitely a lot of fun. Another thing I really enjoyed (which I don’t usually) was that CINDER can’t really be defined by any specific genre. It’s sci-fi, it’s dystopian, it’s fantasy, it has some romance… There’s something in there for everyone, and I really think that’s part of the reason it’s been so successful! Yes, it is a retelling, but it’s so unique in its own right and Marissa Meyer does a great job of brining in new ideas (like the Lunars, the concept of cyborgs being the reason why Cinder is treated so poorly, taking place in New Beijing, etc). I can honestly say that CINDER is my favorite Cinderella retelling by far. I’d honestly recommend it to anyone, even those who doubt sci-fi (because you know I did)! This entry was posted in Blog Event, Books, Fantasy and tagged Cinder, Cinderella, Fairy Tale, Marissa Meyer, Project Fairy Tale, YA, Young Adult on February 20, 2013 by Brittany. I thought this was a fantastic retelling! The best part of ELLA ENCHANTED for me was how different it was and involved an original story. We don’t even see the Cinderella parallels (besides the stepmother/stepsisers) until closer to the end of the book. The first half focuses more on Ella and her curse as well as her evolving friendship with Prince Char. Ella goes on an epic quest to find a way to lift or reverse her curse, so as we get to know Ella, the focus is more on her story and creating a unique character instead of us picturing her as Cinderella. At first I was a little worried that it wasn’t really a Cinderella retelling since it actually took so long for the book to get to things like balls and carriages, but eventually we did get there and it was so nicely done. The retelling aspect was neatly woven into Ella’s story, and as I’ve found from other retellings I’ve started, I think it’s important to have an original story to start as a foundation. Without it, I find myself drifting and getting bored really quickly. The retellings that I’ve been interested in have followed the original fairy tale of Cinderella, but definitely have their own unique aspects to draw the reader in. This entry was posted in Blog Event, Books, Fantasy and tagged Cinderella, Ella Enchanted, Fairy Tale, Fantasy, Gail Carson Levine, Project Fairy Tale on February 19, 2013 by Brittany. As you probably know from earlier posts, I’m participating in Project Fairy Tale, hosted by Alison at the Cheap Reader. My chosen fairy tale is Cinderella. I’ve actually never read the original fairy tale before, so I was interested to see if there were any surprises in store for me! It was actually a little difficult trying to find an accurate version of the original fairy tale of Cinderella. I was afraid of picking up just any old book that claimed it was the fairy tale because who knows what may have been altered from one version to another? I finally decided on checking out the entire anthology of fairy tales by Charles Perrault from the library. It was supposed to be the safest bet, but the actual story was only a few pages long, so I hope that it really was the “right” version that I was looking for! Anyway, the version as most of us probably know it – the one adapted from Disney – is fairly accurate to the original tale. The story goes that Cinderella’s father married his second wife (“the stepmother”) and it was only after they were married that she showed her true nature – a horrible temper and severe dislike for his daughter since she was not one of her own. The girl didn’t dare complain to her father for fear that he would scold her and think she was telling lies because he was completely wrapped around the stepmother’s finger. The resting place she often found was sitting near the chimney. The elder stepsister teased her, calling her Cinderbutt, and the younger stepsister was only slightly nicer by changing the nickname to Cinderella. When the king announced a ball for his son the prince, Cinderella helped her two stepsisters with no kindness returned. There came a point where she couldn’t take it anymore and she finally let the tears fall. Her godmother showed up to help her with what she truly wanted – to go to the ball. 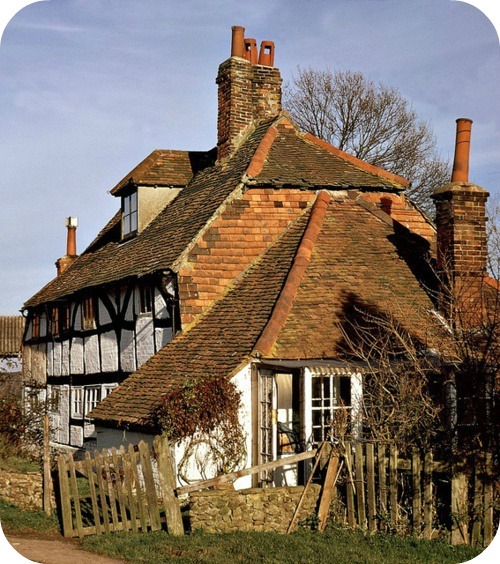 Since her godmother was a fairy, she transformed a pumpkin from the garden into a carriage, six mice into horses, a rat for the coachman, and six lizards for six footmen. Lastly, she donned Cinderella in a beautiful gold and silver gown embroidered in jewels and a pair of glass slippers to complete the ensemble. Cinderella left for the ball with the warning that she must leave by midnight because at that exact moment, all the charms would cease to exist and everything would transform back. At the ball, no one ever saw anyone lovelier than Cinderella. She quite enjoyed her time and made quite an impression on the prince. There was another ball on the following day and he begged her to come back. With help from her fairy godmother again, Cinderella returned to the ball, but was having such a good time with the prince that she lost track of time and believed the bell of midnight to be only eleven. She instantly jumped up and left the ball in a hurry as her clothes turned back into rags, leaving behind one of the glass slippers in her haste. The prince needed to find his dream girl who eluded him so quickly from the ball and when no ladies of the court fit in the shoe, he sent out a gentleman to take the slipper out into the rest of the kingdom. When he arrived at Cinderella’s house, her sisters laughed at her suggestion to try on the slipper the prince held, but when she slid her foot in, it was a perfect fit. For further proof, she pulled the matching slipper from her pocket and the gentleman immediately knew she was the one, taking her to the prince at one. Even in her rags, the prince saw how beautiful she was and they wed with in a few days. Having a kind heart even after all she was put through, Cinderella took her stepsisters with her to the palace and they married two lords of the court. WAS IT WHAT I THOUGHT? Pretty much! With a few minor differences, it would about what I knew the original tale to be. What was I surprised by? Her father just stood by and let this all happen? Why was Cinderella so afraid of her father? Why wouldn’t he trust her more than his new wife? Couldn’t he see that she was in charge of cleaning the whole house? Or was he away? The prince held two nights of balls instead of just one! That the original story DIDN’T involve the stepsisters cutting their feet/toes. What a morbid thought to include, right? But I heard a long time ago – back when I was still a kid – that the original fairy tale was much more morbid and grotesque. Maybe that’s just a rumor (or just Grimm fairy tales? ), but I also had a book that I STILL cannot find in my searches that contained a bunch of “real” versions of fairy tales, and that was what happened to the stepsisters in order to fit in the glass slipper. All minor things, really, but always interesting to see how things get change from version to version. Anyway, that kind of wraps it up for the original fairy tale of Cinderella! Come back tomorrow for my thoughts on ELLA ENCHANTED and how I feel it measures up to the original! This entry was posted in Blog Event, Books, Fantasy and tagged Charles Perrault, Cinderella, Fairy Tale, Fantasy, Project Fairy Tale on February 18, 2013 by Brittany. As author Kym Petrie herself realized, every woman needs a froggy friend and a secret journal—and enough adventures with the girls to keep her heart pounding and her mind racing. Life is meant to be about happy beginnings . . . you can never have enough of them. THE ENCHANTED TRUTH was a very quick short story. It encompassed a few fairy tales although its main focus seemed to be The Frog Prince. How can I review it…? It was so short and I didn’t write my review right away so I barely remember any details. It didn’t have any specific character names so they blur together. It was more of a modern take on a fairy tale, but I didn’t find it that intriguing and it was too short to really make a connection to it, even if it was only a short story. Overall, the story had a good message which essentially was not to wait around for love to find you and complain about being single. The princess in the story actually had to make a lot of changes to herself before she started finding her “prince” and realize that once she had her own life in order, things started to fall into place on their own. I really liked the message in the story because it’s one I fully believe myself! I truly think that unless you’re happy with yourself, it’ll be difficult to find a partner/significant other and if you keep searching for it, you’re hurting your chances to find it because you may be overlooking what’s right in front of you. Just one of my personal philosophies! Eh, there wasn’t much to it so you’re not missing much. It wasn’t awful but I definitely wouldn’t go out of my way to recommend it. This entry was posted in Adult, Books, Fantasy, Retelling, Review and tagged Books, Fairy Tale, Kym Petrie, Novella, Retelling, Review, The Enchanted Truth on January 25, 2013 by Brittany.